The Achilles tendon connects the gastrocnemius-soleus complex to the calcaneum in the foot. The calcaneum and the retrocalcaneal bursa are very closely related at this site of tendon insertion. A prominence of the calcaneum or a soft tissue tightness will increase the risk of mechanical irritation of the bursa and the tendon. A significant amount of stress will be loaded on the posterior aspect of the Achilles tendon where it inserts on the calcaneum with dorsiflexion of the foot. Prolonged irritation of the tendon at the insertion site will lead to permanent damage and a change in the nature of those tissues. The prominence of the posterolateral calcaneum is known as the Haglund’s deformity. Haglund’s disease is presented with a prominent and painful retrocalcaneal bursa, mostly on the outside of the posterior heel, and is commonly associated with a prominent calcaneum (the Haglund’s deformity). Asymptomatic Haglund’s deformity can be an incidental finding on X-rays and this is not an indication for treatment. Insertional Achilless tendinopathy is most commonly considered as a tendinosis without inflammation of the tendon. There is local revascularisation inside and outside of the distal tendon. The retrocalcaneal bursa sits in between the calcaneus and the Achilles tendon. 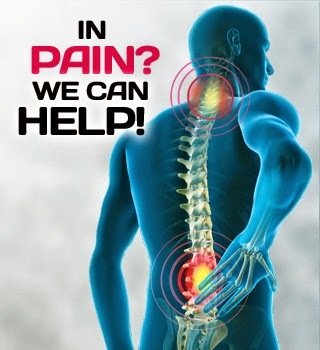 It acts as a lubricant and cushion as the tendon moves across the bone. Repeated irritation of the bursa can result in inflammation of the bursa. 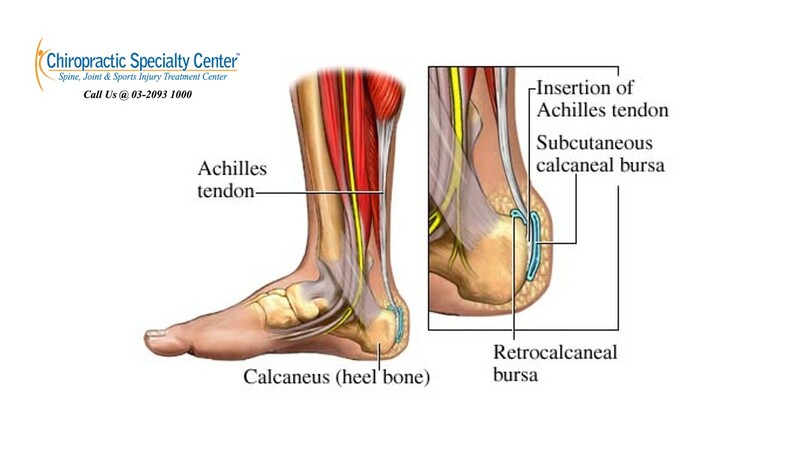 The presentation of retrocalcaneal bursitis can be very similar to Achilles tendinitis.